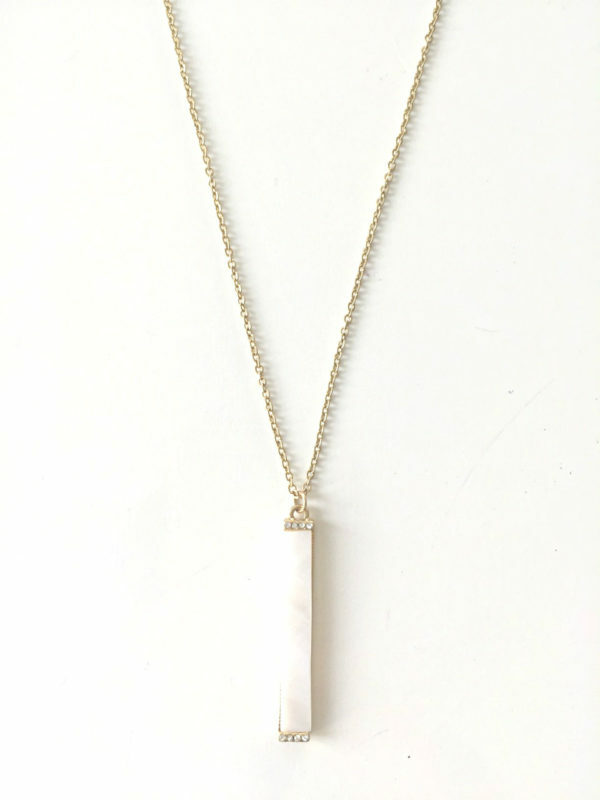 Tags: Bianca, Ethereal collection, gold necklace, Marble Stone, vertical bar pendant. 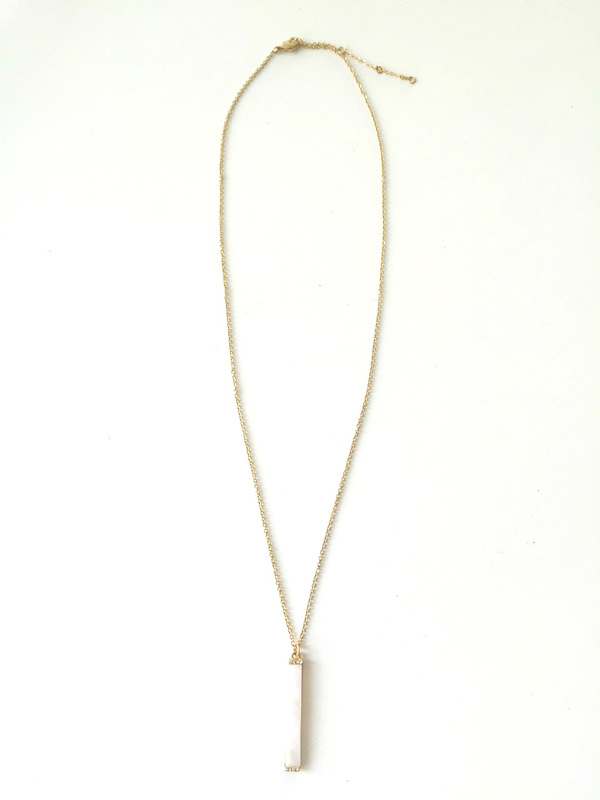 Our dainty Bianca marble pendant necklace is the newest addition to our Ethereal Collection. The name Bianca derives from Italian origins and means “white” or “shining” and so befitting of this delicate piece. This marble stone vertical bar pendant has a row of tiny zircon diamonds on both top and bottom to add that little bit of extra glam. Bianca is perfect for layering with other necklaces or just wear her alone to add an extra bit of sophistication to your look.